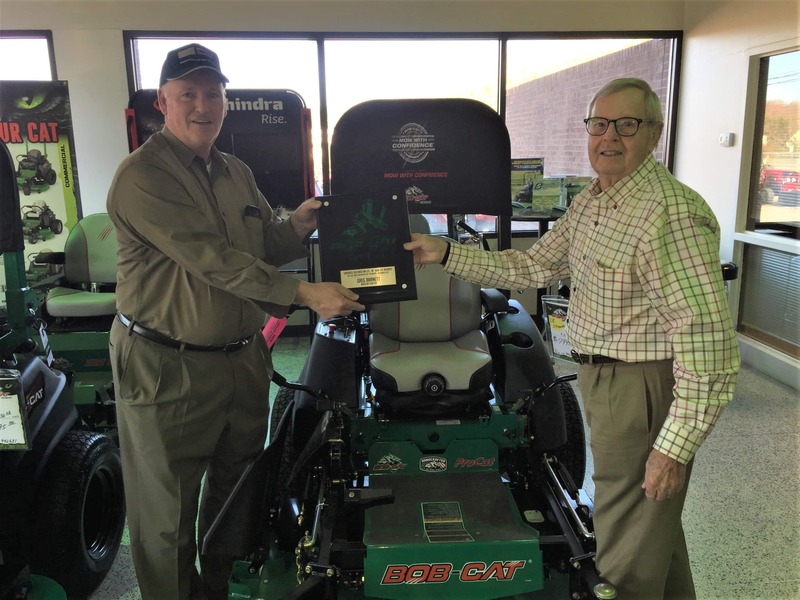 “Keep customers first” is a winning trait all Bob-Cat dealers have in common. Bob-Cat TopCat award winners have to achieve the highest level of customer support and sales. The TopCat award is part of a unique awards program created to honor Bob-Cat dealerships that deliver outstanding overall performance. Bill Parsley, President of Carswell Distributing Co., professes “The knowledge of our dealers, in addition to our high-performance and industry leading quality, is what distinguishes Bob-Cat from our competitors.” The main drive behind Carswell Distributing Co.’s establishment of the Top-Cat award program was to recognize all of the hard work our amazing dealers have done with the Bob-Cat brand. Each month dealers are evaluated against multiple categories of sales and service. Dealers who meet or exceed these qualifications are named the monthly TopCat award recipient. These awards are especially handcrafted and made from the same steel the mowers are created from in the factories. Bob-Cat is committed to producing exceptional machinery for commercial and homeowner users, In addition to fulfilling this expectation, our certified dealer’s go above and beyond to ensure our customers’ needs are fully met. BOB-CAT® is a leading manufacturer of heavy-duty walk-behind, stand-on and zero-turn lawnmowers and accessories built for landscape professionals and residential customers. Manufactured in Johnson Creek, Wisconsin, BOB-CAT® mowers have been proudly built by American hands for more than 40 years. To locate an authorized BOB-CAT® dealer, visit www.bobcatturf.com or call 866-469-1242. Schiller Grounds Care, Inc. designs and manufactures commercial and residential gardening and turf care equipment. Its product lineup includes zero-turn, stand-on and walk-behind mowers, multi-use tractors and attachments, sod cutters, tillers, aerators, lawn vacuums, turf over seeders, brush cutters and much more. Schiller Grounds Care products are sold under the BOB-CAT®, Classen®, Little Wonder®, Mantis®, RYAN® and Steiner® brand names.